Product categories of Corrugated Tile Roll Forming Machine, we are specialized manufacturers from China, Corrugated Roll Forming Machine, Corrugated Sheet Roll Forming Machine suppliers/factory, wholesale high-quality products of Corrugated Tile Roll Forming Machine R & D and manufacturing, we have the perfect after-sales service and technical support. Look forward to your cooperation! 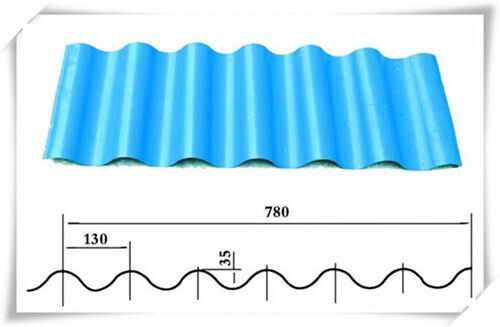 This corrugated sheet metal roof making machine type of sheet can be widely used in plant, house, storage and simple steel roof and wall. It has advantage of pretty appearance, durable using and so on. 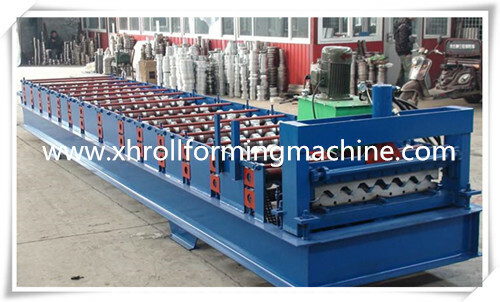 Tile forming machine consist of uncoiler,coil sheet guiding and adjusting device,covering film device,main roll forming system,pressing device,cutting device,hydraulic station,PLC,control system and support table.